I have tried giving my children vitamins in the past as Sophia is such a fussy eater, she won't eat anything in sauce or anything red. On our family holiday to Majorca, she ate sweetcorn, cheese cubes, a bread roll and ham at every meal time as she refused to try anything else. She is getting better with foods now she is getting older and does eat a healthy diet with lots of home cooked meals and fruit snacks but she can still be fussy, so I like the idea of giving her vitamins to help support her diet with some of the necessary nutrients. 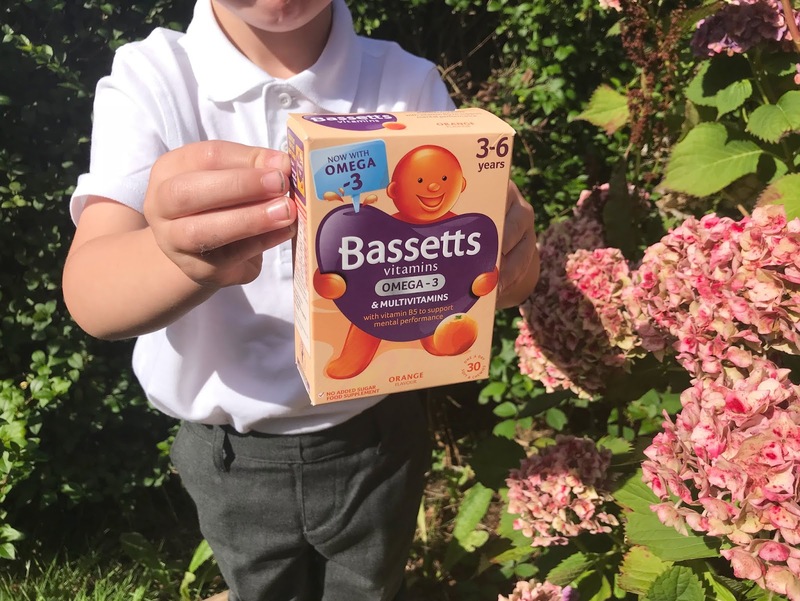 Getting the children to have vitamins though has been a challenge so when I heard of the Bassetts Vitamins Omega-3 + Multivitamins orange flavour pastels I was unsure if my children would try them. Thankfully they both tried them and loved them, they actually ask for them each morning as part of their morning routine now. I am sure they think they are some kind of treat as they are soft and chewy and taste rather nice (I tried one myself for research purposes). The pastels are made with natural flavours and colours and have no added sugar and have a really nice orange taste to them. They are soft and chewy and have the Bassetts logo mans face on them, they are really appealing to children and easy for them to eat. 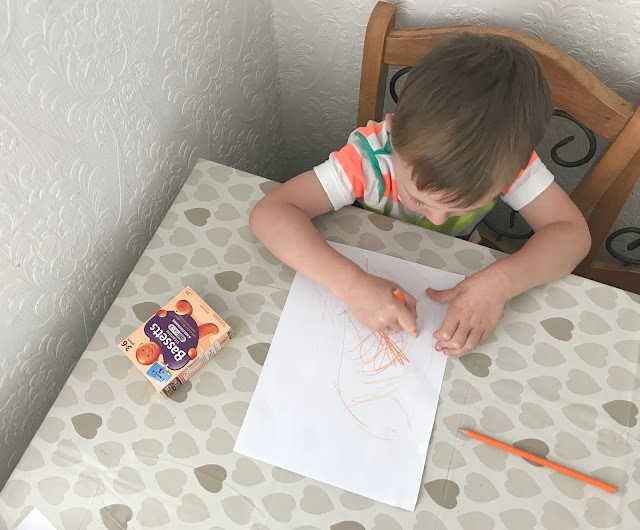 My little boy Jacob, especially enjoys these vitamins as he is crazy about the colour orange, everything we buy him has to be orange. At 4 and 5-years-old asking my children what they thought of the Bassetts vitamins was just met with 'they taste good' and 'we like them'. So I asked my children to draw what they taste like and my four-year-old drew a big juicy orange. Overall I think it is safe to say both my children enjoy the taste of these Bassetts Vitamins Omega-3 + multivitamins orange flavour pastels. They taste good, look appealing, are made with natural flavours and colours and have no added sugar and most of all my children happily have a one each day to help supplement their diet. It is an easy way to get more essential Omega-3 fatty acids, Vitamin B5 and Vitamin B6 into my children's diets and I can send them off to school for the new term bright-eyed and bushy tailed ready to take on the day. 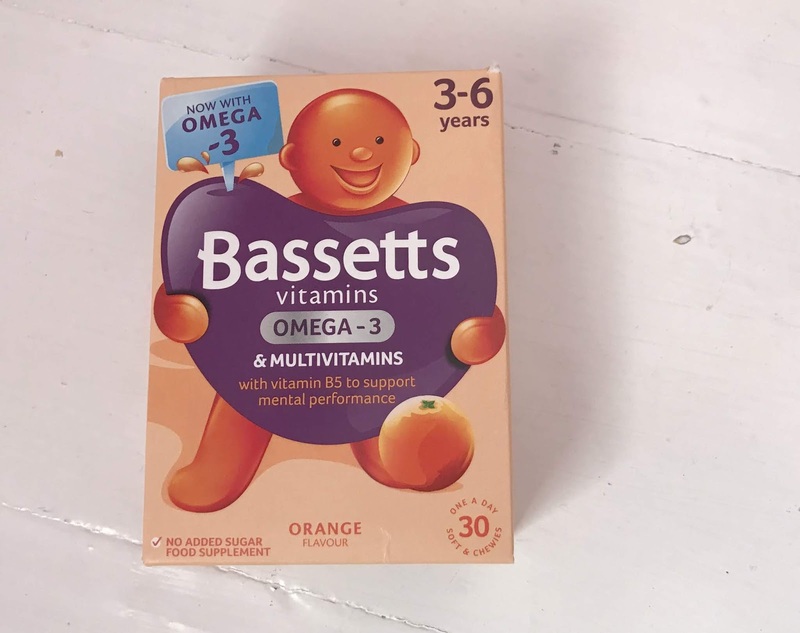 Bassetts Vitamins Omega-3 + Multivitamins orange pastels are available to buy from supermarkets and pharmacies with an RRP of £5.50 for 30 pastilles. Disclosure this is a collaborative post, however, all opinions are my own. Holly is the youngest in her year too and started in September, its good to help them be ready for school as much as we can. My girls love these and my fussy eater does too! We swear by Bassetts Vitamins. Last year was the first year we didn't bother buying them and the kids were ill all winter. We've not made the same mistake this year! It is so important to make sure children get the right nutrients to support their growing brains and bodies.